Spasagna is an alternative way of making lasagna using baked spaghetti instead of lasagna sheets. This meal turned out rich, creamy and difficult to stop eating. It is quite a time consuming recipe, but well worth that bit of extra effort, and it makes enough for at least 8 people. Heat the oil and add the chopped shallots. Cook for a few minutes and add the chorizo and garlic and cook for another few minutes. Add the mince and cook, breaking up, until it is browned. If there is a lot of liquid, empty some of it, but if using the best mince, there is little liquid. Add the tomato paste, red capsicum, and spices and cook for a minute, stirring. Add the tomatoes, Latina sun dried tomato, beef stock, sugar, red wine and mushrooms. Stir until it is all combined and bring to the boil. Reduce the heat and simmer for at least an hour - I simmered for about 1½ hours. It will appear quite liquid to begin with but this thickens up as you go on simmering. If cooking this long you will probably have to add some passata as mine actually got a bit dry. This part can be made up to 3 days ahead. Mix the cream cheese, cottage cheese, and sour cream in a medium bowl until it is smooth, and creamy. Add some salt and pepper to taste. Add half the cheese mixture to the still warm or hot spaghetti, and mix so that the spaghetti is well coated. In a 35 cm x 26 cm baking dish (or approximately this size), grease with olive oil or some butter, including the sides, and put half the spaghetti mixture into this. Add the rest of the cheese mixture and a bit of grated cheese. Try to smooth the cheese as much as you can over the spaghetti. Add half the meat sauce and press down so the spaghetti is well packed. Add another layer of the spaghetti, the rest of the cheese mixture and the rest of the meat mixture. Press down again, and add the balance of the grated cheese on the top. Allow to stand for several minutes and cut into squares - DELICIOUS! I served it the second night with broccoli and curled the raw carrot. This would also be great for party food, at room temperature, cut into bite sized pieces. 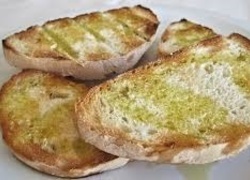 Do you prefer your bread fresh or toasted? Do you prefer a nightie or pyjamas in the cold weather?